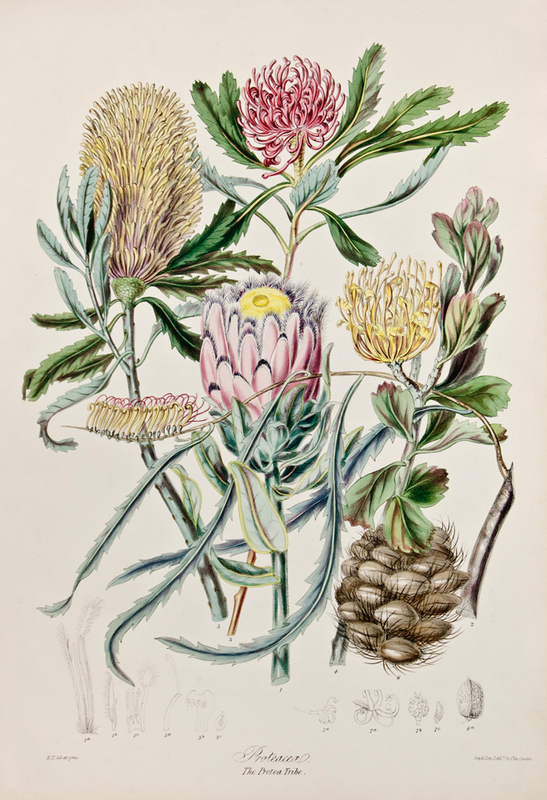 Proteas are often seen as temperamental and difficult plants to grow, but the truth is that they are relatively easy as long as you follow a few simple rules. Perhaps the biggest mistake made is to plant and forget, because to ensure success you need to adapt your local environment to match its native conditions. 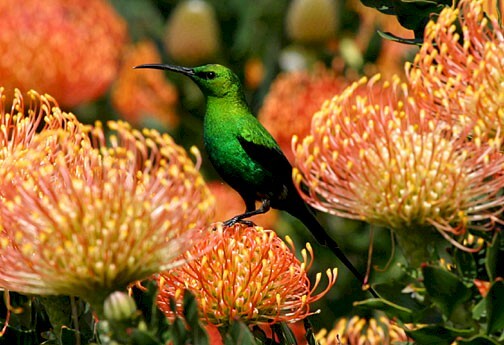 To start with, it is important to ensure your Protea has adequate drainage. They prefer a free-draining sandy loam although some of the hardier specimens are less fussy and will tolerate a heavier soil. 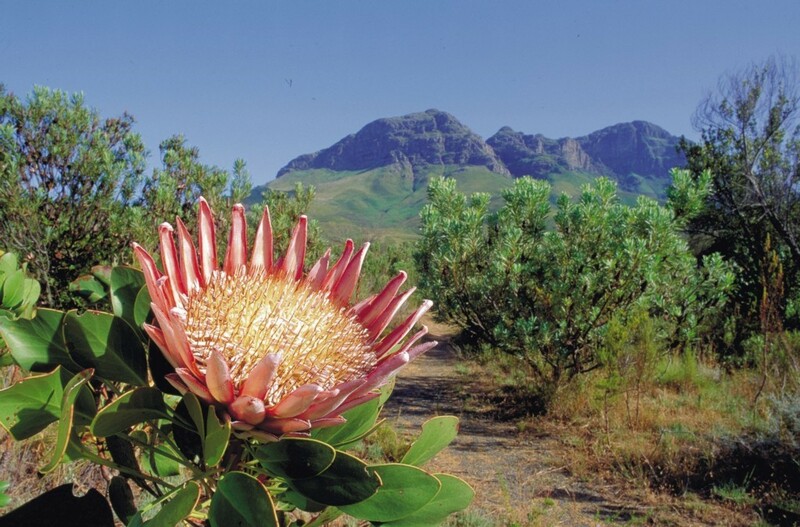 Be that as it may, Proteas will not survive in heavy clay soils. NOTE. 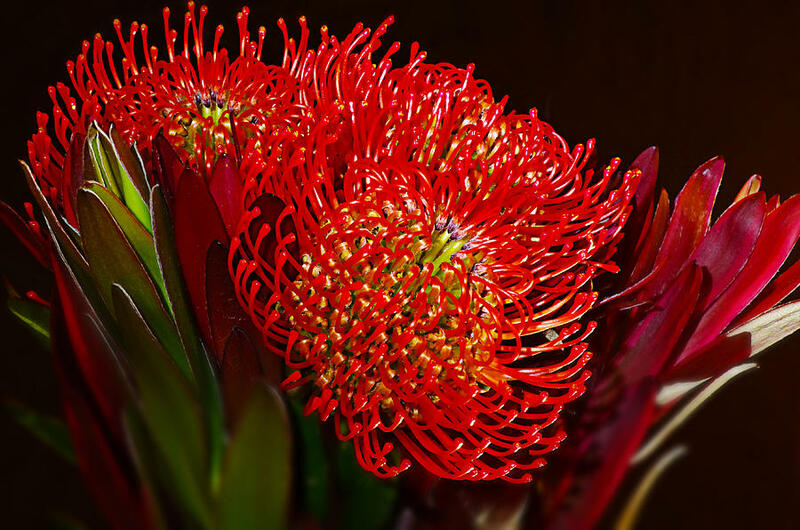 Do not plant any proteas deeper than the surface level in the pot. If you do have a heavy soil they it will need to improved by digging it plenty of organic matter gypsum to break up any residual clay. In extreme cases you may need to plant your Proteas into a raised bed or at the very least a large, raised mound of soil to ensure a minimum level of drainage. Most Protea varieties require an acidic soil with a pH below 6, although some will tolerate neutral to alkaline soils with a pH above 7. This can be confusing so research your Protea before planting. 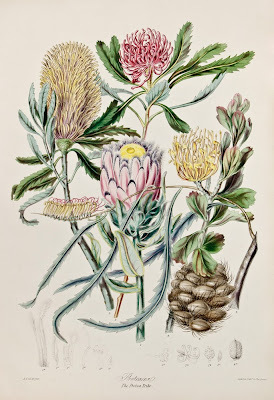 No this part is important, in their native habitat most Proteas grow in soils that are low in nutrients, so they can be harmed by fertilisers which contain normal levels of phosphorus. With this in mind, it is best not to use any fertiliser when planting out Proteas. They will do best in full sun, and not closed in by other plants. The fact of the matter is that the more sun your Proteas can get the more flowers they will produce. Of course there are always exceptions as some Proteas are able to tolerate being grown in semi-shaded areas. Proteas are fairly frost tolerant once established. In winter they can usually handle frosts around minus 2° Celsius, but surprisingly, some of the hardy species can tolerated frosts of minus 6° Celsius - for a short period time! The roots are susceptible to cold damage so over winter, it is prudent to protect them using a natural mulch such as bark, straw or leaves. Do not use mushroom compost as this can contain levels of phosphates high enough to damage the sensitive root system. When applying mulch, leave a gap around the main stem/trunk otherwise fungal rots can set in. Once established, Proteas are pretty tough, but in the first year they will need watering at least twice a week in the first summer. This may need to be increased to daily if it gets very hot. After the first year, species considered drought resistant can be left to their own devises while the rest should be watered weekly during dry periods. If you are growing in tubs and containers then they will probably need watering every day during hot weather.